Developing an email marketing plan is a great tool to not only nurture your customers through the customer journey and to stay top of mind, but also a great tool for maximizing sales and customer loyalty. This tactic is used to build on that existing relationship and providing valuable information. Email marketing also allows you to target a specific audience, which is known as segmentation, based on your customer personas. The audience segments allow you to send the right content, at the right time, to the right people. Content promotion - people spend hours in their emails on a daily basis, which makes this a great outlet to share your most recent blogs, webinars, podcasts, etc. However, a solid email marketing plan is not just segmenting lists and sending out a monthly newsletter - there is more to it than just that. Any good marketing strategy has a set goal in mind, and email marketing is no different. Before sending the ‘welcome email’, you must have a goal. Start high level, and then break it down to a more granular level and set a SMART goal for the email marketing campaign. A SMART goal is something that is specific, measurable, achievable, relevant and timely. Once you decide on your goals, make sure you have a content calendar, like a blog, on when you are planning to send the emails - and how often. Will you be sending weekly emails? Bi-weekly, or monthly? Odds are you received your email list from prospects signing up from your website, handing you a business card/signing up at a trade show or speaker event. Breaking it down further, there are two ways to capture contact information, and according to HubSpot, these are the two ways: lead magnets and opt-in forms. Lead magnets are some form of an offer that attracts people to sign up, examples of this would include: free ebook, whitepaper, infographic, template, webinar, etc. The opt-in form is when prospects choose to sign up for your email campaign on their own because they are legitimately interested in learning more about you and reading your content. When creating an opt-in form, make sure you only ask for the information you need, and remember, keep it short! However you collect emails, it is important to segment your large email list into subcategory lists based on unique characteristics - interests, demographics, location, etc. Again, this will ensure you send the right content, to the right people, at the right time. Once you have decided your campaign goals, created a content calendar, and have developed your audience lists, now is the time to decide what type of emails you will be sending, and what their individual goals are. To begin, it is best practice to send a ‘Welcome Email’ within an hour of prospects signing up for your emails. 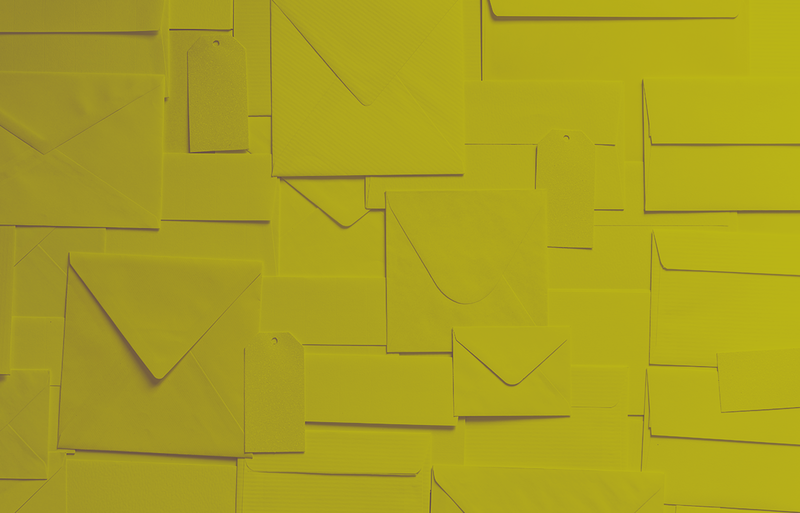 It is critical to making sure these emails are personalized - include the prospects name, and provide them with information on what they can expect in your upcoming emails. Sending a monthly newsletter also needs a strategic plan behind it. The email needs to be personalized because these emails are powerful enough to build relationships with your customers, and works to increase customer retention and loyalty. Keep these emails short and to the point. Most company newsletters focus on company updates, including, latest blogs, webinars, podcasts, events coming up, and so on. Email marketing is also a great tool for sending product and service updates. However, these emails can be seen as spammy - after all, these emails are intended to sell something. The goal here is to make sure the content is relevant and targeting the audience who is at the point in the customer journey and ready to make a purchase. People like free stuff (and discounts, too!). Adding value-add emails into your email campaign is a great way to keep your audience engaged and happy - building trust and loyalty. Before you begin your campaign, it is to your best interest in setting up email automation - this will save you time, and keep the emails highly targeted to your segmented lists. You can set up a smaller email drip campaign, which triggers automated emails to people who have completed a certain action. Sending out emails is great and all, but measuring how they do is just as important. Setting up key metrics to measure is key! See how your efforts are doing. Define your KPIs (key performance indicators) on what you want to measure. Typically, the KPIs you should be interested in is deliverability, open rate, click through rate, and unsubscribes. Keeping your metrics in a report is a great (and organized) way to keep track of how you are doing. You can compare and contrast how you are doing over the course of 6 months a year or 2 years. On the report, best practices are to keep track of the KPI metrics, data (what was the subject line and images used? What was the offer and CTA? ), and include a few sentences of what you would like to improve on. All campaigns must have a plan, a goal, and an action item. Ask yourself, “what do I want to accomplish with this email drip?”, “how often will I send emails?”, “what do I want the audience to do?”. Developing answers to these questions will help to better define the goal of the email marketing campaign, and help you dive into the 5 W’s: who is the email for, what is the goal of the email, when is the best time to send the email, where is audience located, and why should they open the email? After answering the 5 W’s, ask yourself, how do I want the audience to convert? What is the CTA? Make sure you have a sleek design and eye-catching images!